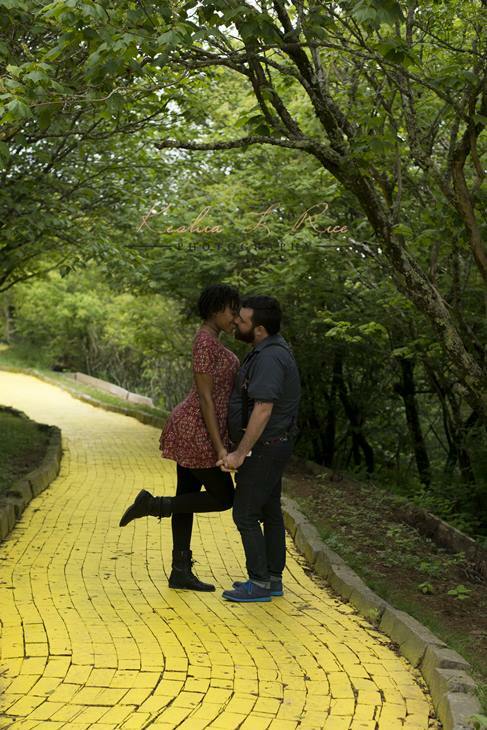 BEECH MOUNTAIN, North Carolina -- A Georgia couple is ecstatic about starting their journey down the Yellow Brick Road. 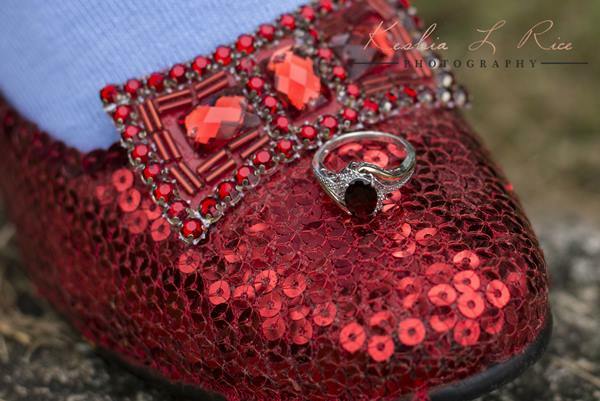 On Friday, 30-year-old Brandon Cross pulled off the proposal of a lifetime. Well, at least it was to his now fiancé, 26-year-old Tiffany Woodard. About 8 months ago, Cross moved to Fort Oglethorpe, Georgia, from Fayetteville after serving in the Army. 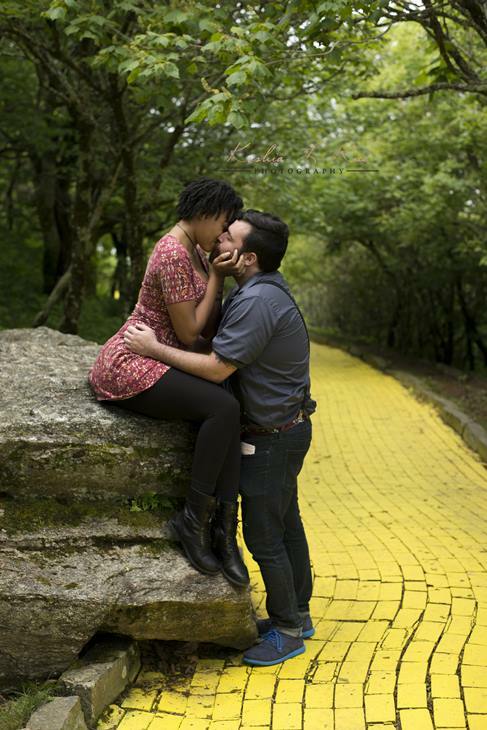 The couple met at work and fell in love instantly. "At first, I didn't talk to her because at first glance I just knew that she was out of my league," Cross said. "But we eventually built a friendship." That friendship quickly blossomed into romance. "On Christmas Eve I was having a really tough time, this was going to be the first holiday I was going to be spending away from my son while he visited his mom," Cross said. "Tiffany worked with me that day and left early, she heard me talking about how upset I was and text me to see if I was available to have dinner later that night. It wasn't until later in the conversation that I realized I wasn't as sad, I was having an amazing time. We had an amazing dinner and went on a whiskey tour. In the middle of the tour, I instinctively wrapped my arms around her waist. Without a thought, she held onto my hands and we fell in place. From that moment on, we've been inseparable." While some may think the couple is jumping into things too quickly, Cross said he knows it's right. "There's that moment when you just know, everything falls into place and you know that you can't be without this person. Life brought them to you for a reason. After a while of dating, I told her I was going to marry her on June 15, 2018." 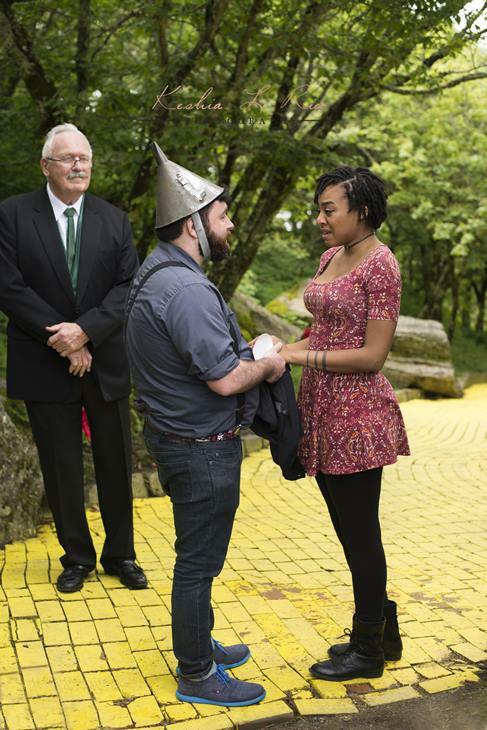 And Cross knew he had to make his proposal special, so he decided to take a trip to Woodard's favorite Hollywood hangout, the Land of Oz. 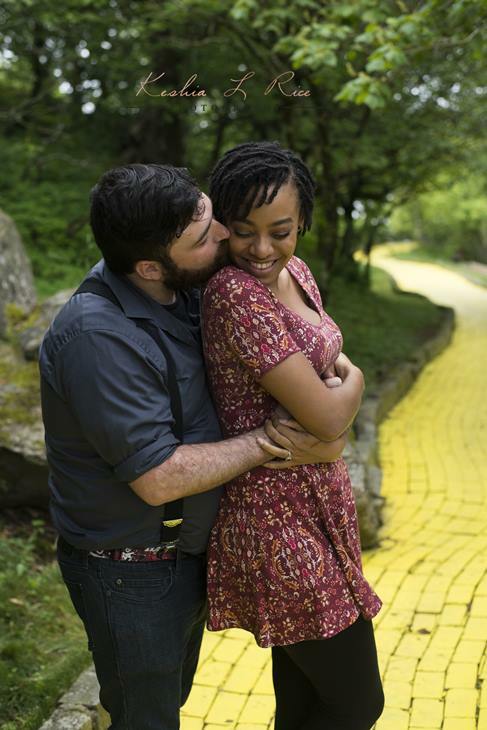 "I was on Facebook and saw the ad for Land of Oz and it clicked," he said. 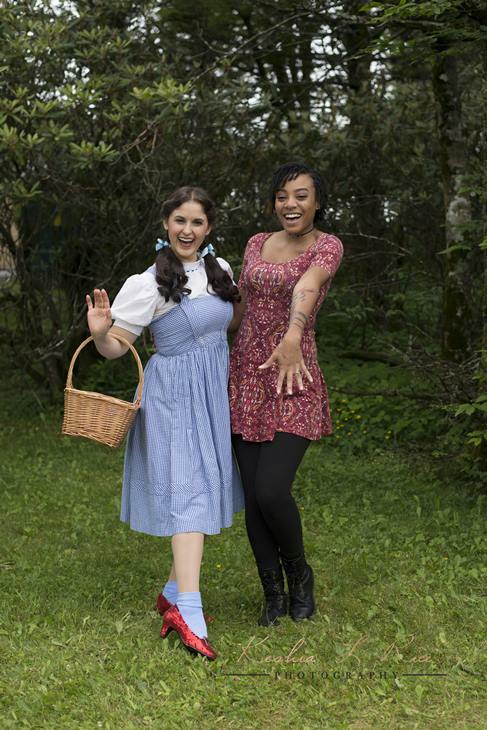 "I remembered her telling me that the "Wizard of Oz" was her favorite movie, and it just so happened that there were three tickets left for June 16. I knew I had to have them." 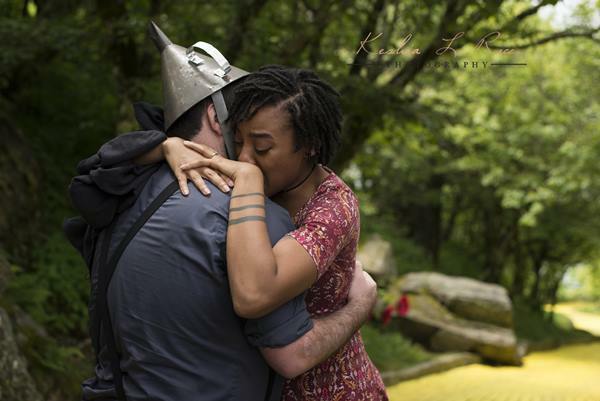 So, Cross bought the tickets, dressed up like the Tin Man and gave his Dorothy his heart. 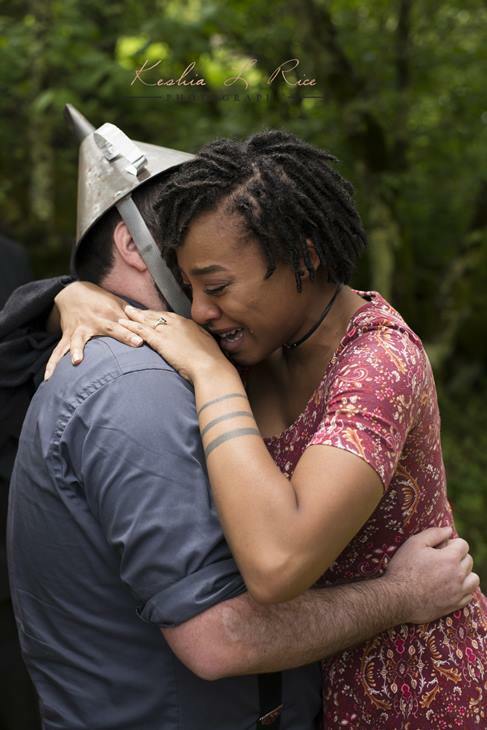 "I was beyond nervous, not only was rain in the forecast but upon arriving, I found out I was going to be the Tin Man and singing in front of a group of strangers," he said. "We went through the tour and once we arrived at the wizard he asked me if I would like to give my heart to anyone. Then I called up Tiffany, the only person I could ever imagine holding my heart again." With a huge smile and a few tears, Tiffany said "yes." Cross's friend Keshia Rice captured the beautiful moment and posted the pictures on her Facebook page. The photographer said she was grateful to witness such a joyous occasion. "I had the amazing pleasure of seeing one of my friends propose to someone that has brought so much joy to his life," she said in her. "This has been in the works for MONTHS! Seeing all the rain in the forecast made me so anxious and scared this moment wouldn't happen. The rain held off until we were done! Everything all aligned to make for a perfect day and perfect moment at the top of a beautiful mountain." Cross hopes to get married where he proposed. "It was one of the happiest moments of my life and I have so many people to thank for that," he said. 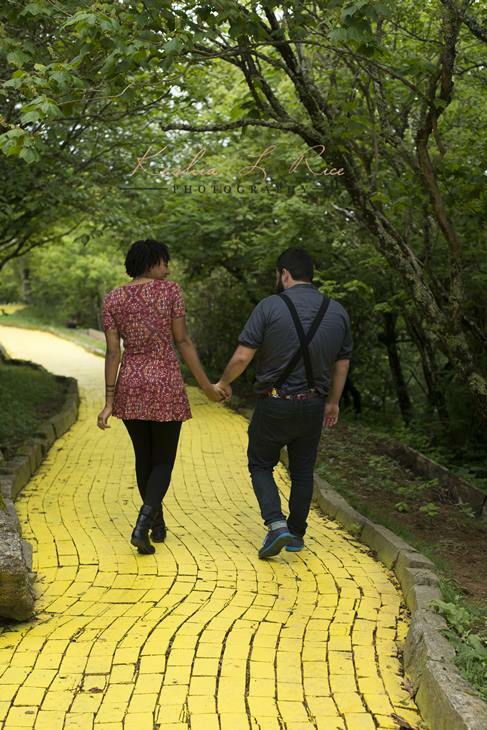 "My hope is to get married on that same Yellow Brick Road. It was a great place to start our journey." Woodward said the proposal was very special to her. "Today is the happiest day of my life," she posted on her Facebook page after the engagement. 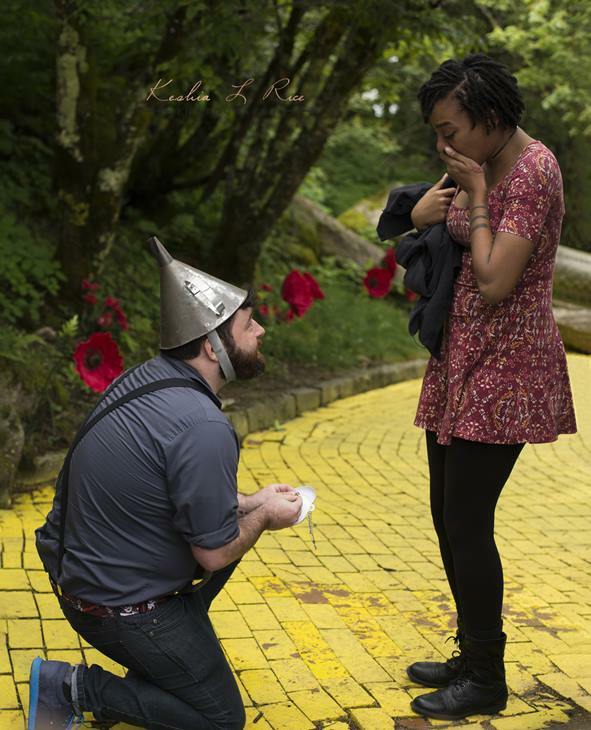 "I walked down the Yellow Brick Road and at the end of it found my best friend waiting to ask me to spend the rest of my life with him (of course I said yes). It was one of the most magical and emotional experiences of my life. I'm so overwhelmingly happy. I can't even begin to explain how excited I am to see where the road takes us but I'm glad to be exploring it with you."